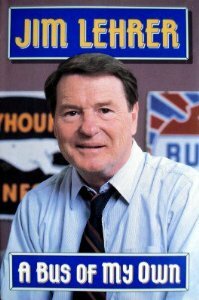 Dear Jim Lehrer (or Neil, Willie, Bonnie, Jack): We Did It! We did it!! Well, lots of journalism teachers and journalists, social studies teachers, defenders of civil liberties, free speech and press fans — and even some “poor” students did it. But it happened. We raised $50,000 in about a month to take our free speech/press and civics education bus tour to schools and colleges across the country starting this fall. But we could still really use your help in finding the bus (or reliable RV). The thing is, we already have about 200 invitations to speak (and that’s not even counting invitations to Independence Mall, the U.S. Supreme Court and some big student and teacher conventions this fall). 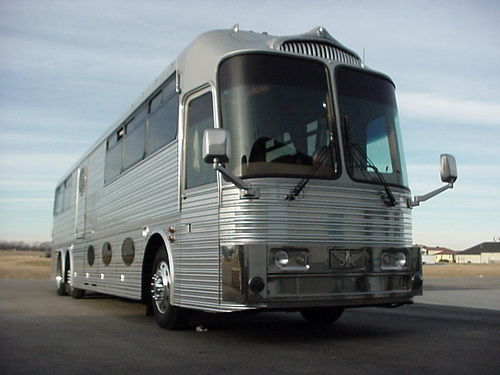 If we have to pay full-price for a bus (actually, right now we’re looking at renting a modest 29-foot RV — something like this — that we’ll decorate “big” to look like a bus! ), we’ll just get about 10-12 weeks on the road. That’s a ton of driving and, still, lots of students and teachers who would like to hear from us are going to be left out. Donated or discounted transportation would help us stretch out our time on the road and the number of stops we can make. I hope you don’t think me too pushy, but I’ve still not heard from you, and you’re pretty much the only bus expert/free press advocate I’m aware of. Might you know anyone out there who is just going to park their bus/RV during the winter and who can see the value in our talking to our next generation — at this time, with everything going on in the world — about the importance of free speech and a strong, independent press? Donations are being accepted through our friends at the nonprofit Student Press Law Center so it could even be tax deductible.